Many people waste their money on skin/hair care products, makeup, soaps and lotions etc. to look beautiful. In addition, many of them also spend their income on various treatments and spas. But most of the times, these products effect badly on your skin because these contain chemicals and synthetic addictive. But, you can use activated charcoal instead of various products to enhance your beauty and bypass all the side effects of these chemical addictive products. Disclaimer: This post contains some affiliate links and I will be compensated if you make a purchase after clicking on those links. Activated charcoal can also be taken internally to improve overall health. Activated charcoal has the property to cleanse and exfoliate the body as well as skin. whether your desire is to minimize the wrinkles, fights acne, treat scalp and hair issues, activated charcoal can help you. Here, I am going to discuss some of the beauty benefits of activated charcoal. 1. Unclog pores: Unclogged pores contribute to countless skin problems like acne, blackheads and sluggish complexion. Skin of toxins and impurities can contribute to clogged pores. To obtain that healthy skin, you have to get rid of clogged pores because with blocked pores your skin cannot get the refreshing air and look healthy. You can make a simple at home solution of activated charcoal that helps to relieve toxicity. Activated charcoal has the ability to extract toxins, impurities and environmental pollutants from the skin. By doing so, it restores the natural balance to oil production. It can also help to combat wrinkles, pigmentation and discolouration caused by hormonal imbalances. Combine these two ingredients into a paste and apply on the face for 20 minutes. Use normal water to cleanse your face. You can use this pack thrice or as often as needed in a week. 2. Treats acne: Acne is primarily caused by the buildup of oil, dead skin, hormonal fluctuations, menstruation, anxiety, stress, exposure to hot and humid climate and by wearing too much oily makeup etc. You can heal your acne by utilizing activated charcoal because activated charcoal has the power to remove that extra oil and impurities from the skin as well as balance the hormones. Add water to the activated charcoal to make a paste-like texture. Now, Apply this on those areas where you have pimples. Massage mildly that specific part with this charcoal paste for 5 minutes and keep it on your face for 10 more minutes. Wash your face with normal water. 3. Alleviates dandruff: The common condition of dandruff can be very embarrassing. While you use several products and prescription medication, this condition often remains. 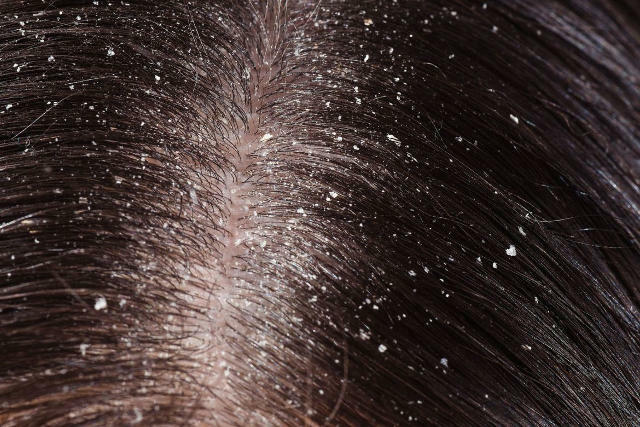 When there is an upset in your hormonal balance, hygiene regime, or even stress and anxiety level, the scalp's dryness can develop the perfect conditions for the production of dandruff. By using an activated charcoal directly to the scalp, the conditions contributing to the development of dandruff can be resolved naturally. Activated charcoal helps to eliminate the toxins, regulate the pH balance of the skin, remove environmental and hair care products residues from the scalp and hair. Furthermore, it also works to heal the scalp and kill the yeast from the hair. Combine all these ingredients in an airtight container and shake to mix thoroughly. Massage this mixture to your scalp and leave for one an hour. If applied daily, this simple application can rid the scalp of dryness and irritation naturally. You have to keep this mixture in a cool & dark place and it can be used for about one week. 4. Acts as an anti ageing ingredient: Many factors contribute to the development of wrinkles and exposure to environmental elements is one of those. Many anti-wrinkle treatments are available but those treatments pay bad impact on the skin like Botox can cause redness, inflammation, irritation on the skin. But by combining activated charcoal and a few other all natural ingredients, you can create a cost-effective anti-wrinkle mask. The activated charcoal will extract toxins from the skin's surface and restore balance to oil-producing glands and the skin's pH. Mix all the ingredients well. Apply a thick layer of this mixture on your face and massage thoroughly. Keep this for a maximum of 20 minutes. Then wash your face with lukewarm water and apply any moisturizer. This mixture can be used for 2 weeks if kept in a tight container and stored in a cool & dry place. 5. Eliminates blackheads: Your skin faces many toxins and pollutants in the hustle and bustle of everyday life. These pollutants cause your skin pores to be clogged. The clog can lead to the development of blackheads on the face and body. By using activated charcoal with moisturizer, natural oil or simply water, you can make a cleansing pack that detoxifies the pores from the pollutants, allowing them to breathe and so, returns the health of the skin. Mix all these ingredients very well. Apply this on your face and massage in the circular motion. Leave this mixture on your skin for 20 minutes and then wash it off with warm water. 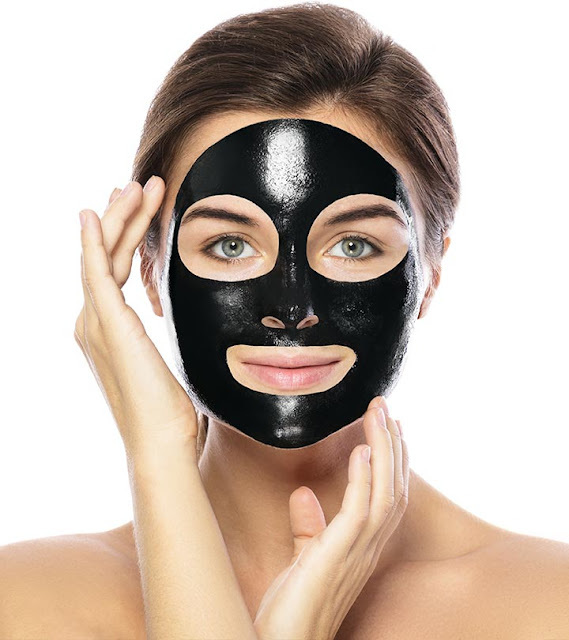 You can also use this mask on the other areas of your body that are affected by blackheads. 6. Cleans hair: Excessive use of products, damaging hairstyles, consuming unhealthy foods, and common health conditions can contribute to dull, dry & damaged hair. To regain that natural shine, voluminous appearance and resume normal, optimal growth of hair, you have to implement a hair care regime that naturally removes residue from everyday exposure to chemicals, toxins and pollution. Adding a cleansing solution with activated charcoal into your weekly hair care routine can alleviate all issues that contribute to weighted down hair. Combine all the ingredients and shake vigorously to mix. Apply this solution to your hair in the shower. Massage your scalp and hair with this mixture for few minutes and then rinse your hair with normal water. Apply it as often as necessary until your hair returns to its desirable condition. 7. Adds volume to hair: Activated charcoal is not only able to remove inhibiting elements such as toxins, impurities and harsh chemicals from the scalp but it also promotes the proper production of proteins and supports natural processes that contribute to hair health. When it is combined with other natural ingredients like apple cider vinegar that contains a protein-rich enzyme shown to repair and strengthen hair, the result is a head of voluminous tresses that did not require the use of expensive, synthetic-laden products. Mix all the ingredients very well and apply to the hair & scalp while showering. Leave it for about 20 minutes then rinse your hair with water. 8. Heals cracked lips: The condition of chapped lips is one of the most challenging to deal with because it can be hard to resolve. The root cause of cracked lips can be smoking, drinking the excessive amount of alcohol, dehydration, repeated exposer to saliva. Chapped lips can cause pain, redness, irritation, swelling and even infection. You can use market base chapped relief sticks or balms but these products may contain chemicals which may not suitable for the soft skin of lips. Instead of using these products, you can make a homemade recipe by using activated charcoal combined with other natural ingredients. Add beeswax and coconut/jojoba oil into bowl and place in the microwave for 30 seconds or until wax melts. Mix all the other remaining ingredients and mix until thoroughly combined. Store this mixture into tight lid container and place in a cool, dark area. I hope you like this post. Try to use activated charcoal in your daily life and get lots of benefits of this magical ingredient. If you have any question related to using activated charcoal for beauty then ask me by commenting under this post. And, don't forget to give this article a thumbs up. These look like some very interesting natural remedies for a variety of problems, thanks for sharing! Wow! 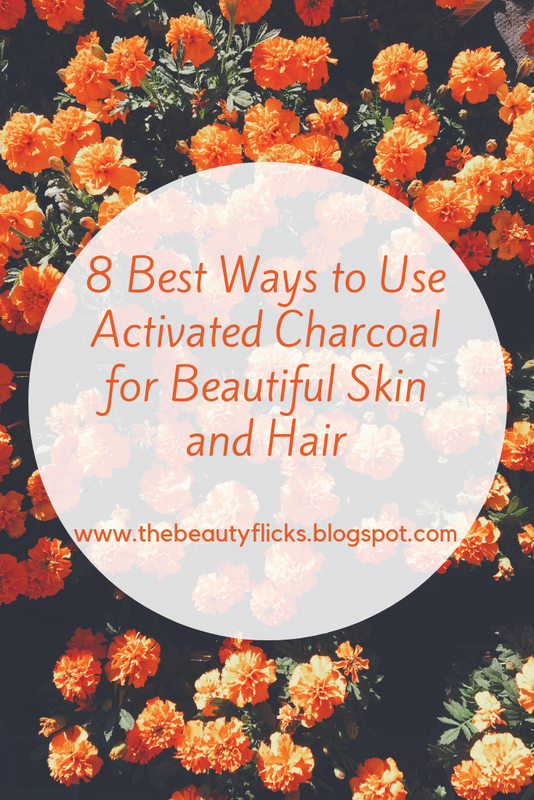 Who knew active charcoal could have so many great uses! I will be trying a couple of skin improvement recipes! Thanks for putting this information together!